Want to look like you have spent all day cooking, but didn’t? This Lasagna Roll Ups recipe will impress your friends! Cook the lasagna noodles per box instructions. Once done, rinse in cold water and set aside. 3. Add wine, canned tomatoes, basil and 1/4 cup of parsley, stir, then simmer on low for 30-40 minutes. While the sauce is cooking, make the cheese filling. Mix together the ricotta, 2 cups mozzarella, 1 cup parmesan, eggs, 1/2 cup of parsley, and salt and pepper; set aside in fridge. Once the sauce is done, preheat the oven to 350 degrees. Then let’s roll up! Grab the noodles and the cheese mix from the fridge. On a cutting board, layout lasagna noodles one strip at a time. 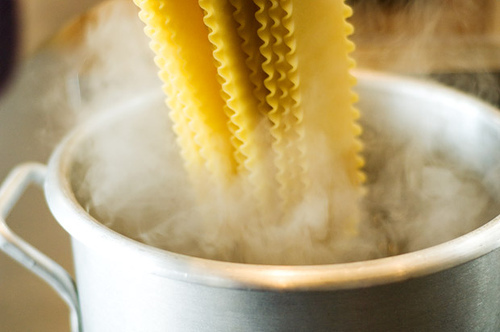 Put about 2 tbsp of ricotta mix on a strip of lasagna noodle and then roll the combination up. Repeat with the other strips. 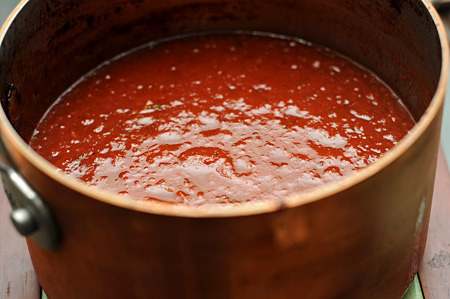 In a baking pan, cover the bottom of the pan with a layer of sauce. Place the roll ups in the sauce and cover the roll ups with the remainder of the sauce. Top with the remaining parmesan and mozzarella cheese and bake for 30 minutes. This Lasagna Roll Ups recipe is so delicious you may have to roll your guests to a bed because they’ll be so full! Enjoy!